Beach, Eyelids, and Curtains: chelfitsch's EIZO-Theater is composed of six video (eizo) theatrical pieces taking boundaries as their theme. The term EIZO-Theater refers to a new type of theater which Okada has begun to make together with Shimpei Yamada, a stage video designer. 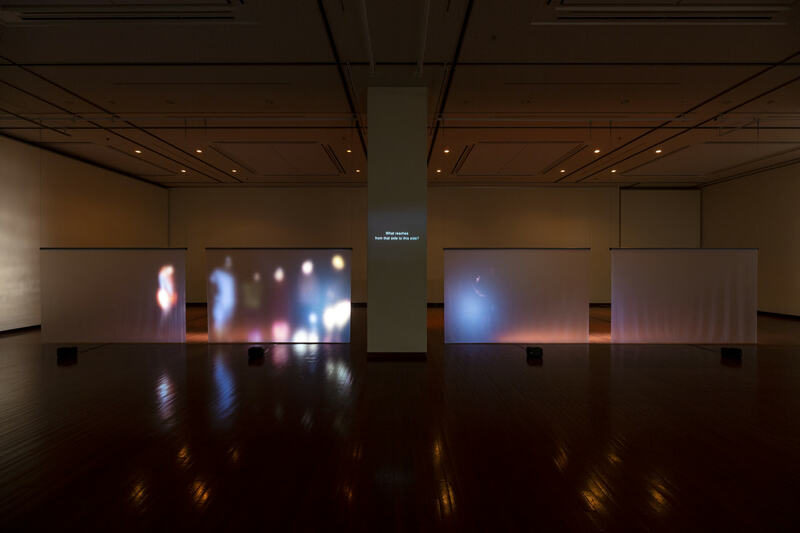 It is an attempt to transform exhibition space into theatrical space by the action of projected video images upon human sensation. 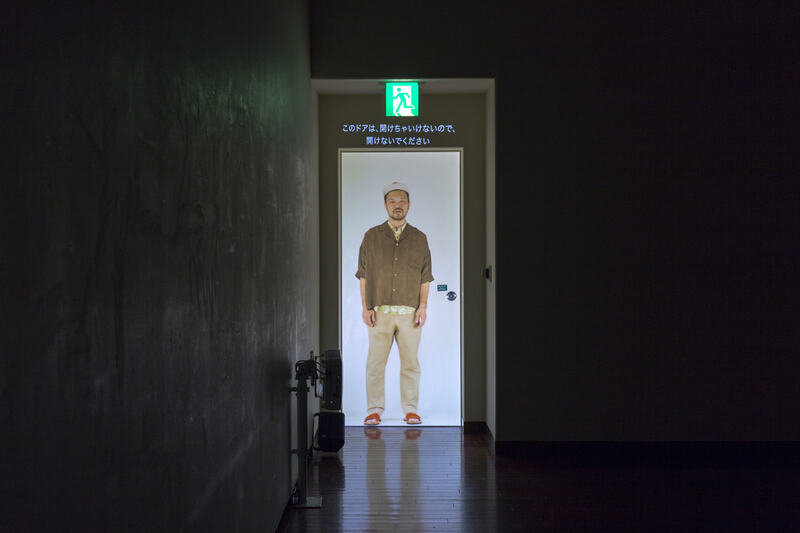 EIZO-Theater is considered to be performed in the space when the images are endowed with a reality through linkage with the power of the viewer's imagination. Okada is opening up enormous possibilities by developing the latent potential of the medium of theater per se into EIZO-Theater. 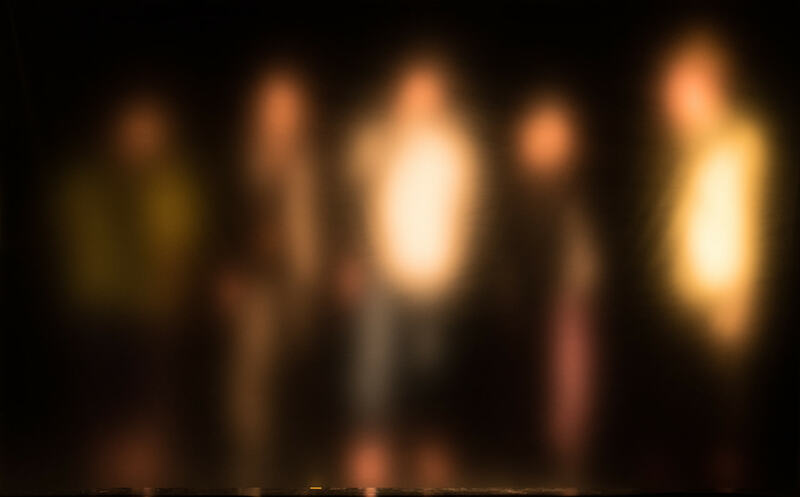 Going beyond mere advancement on the level of technique and presentational form, EIZO-Theater theatrically apprehends the way in which viewers/audiences visually focus on the persons (actors) in the projected images, and the property inducing the sensory experience, meaning the distinctive presence of human images projected in actual size. 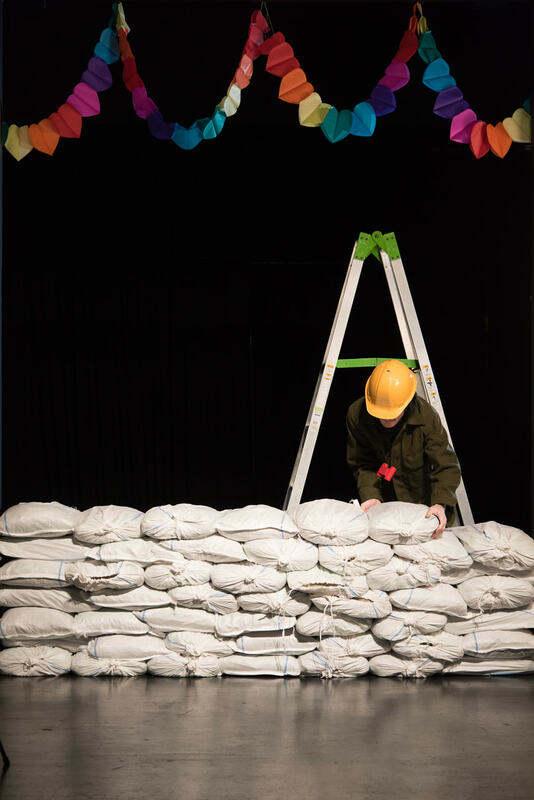 Beach, Eyelids, and Curtains, the title of this theatrical performance/exhibition, consists of three words that may serve as clues to help us imagine softer and vaguer states than the hard and fast connotations of "boundary," "line," and "wall." In the present age, we are forced to deal with problems related to boundary-type arrangements on the levels of both sociopolitical situations and ordinary life. Itself straddling the two separate genres of video and theater, EIZO-Theater is an attempt to engender an experience of a new character. 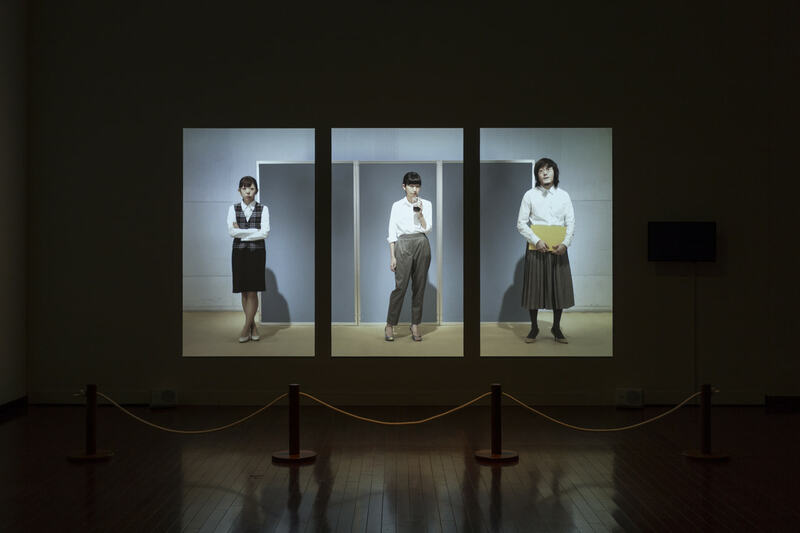 Viewers at the performance/exhibition constituting EIZO-Theater simultaneously experience two domains: the real location in the form of the exhibition venue and the fabric of fiction woven by EIZO-Theater. Beach, Eyelids, and Curtains will undoubtedly provide an opportunity for us to think about the distance we may need to realize the tension generated by boundaries and to gently take in the external world. Single-channel video rear projection on the oneway mirror through the screen, wooden table and chair, hat hook, hat, etc.